I had some of this tea also, I liked it but it can be a little overwhelming. 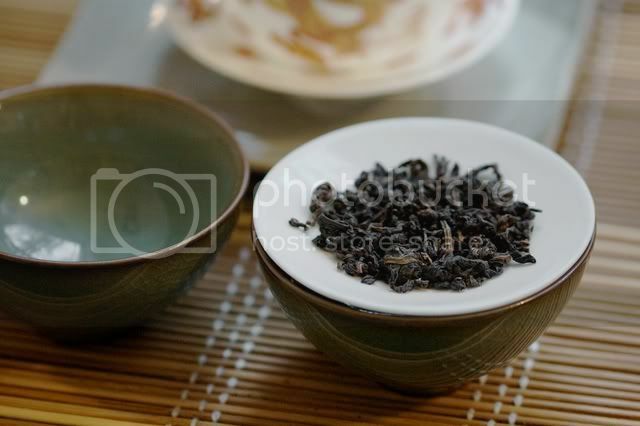 To me the aroma is like a really intense Mi Lan Dan Cong. Thanks to the both of you for your comments! those little cups are GORGEOUS! I guess it's time I finally get an order in to DTH. Should look around and see if there are any "must try" teas. Aren't they? They look much better in person than on the DTH website, and are better quality than I expected, too. I've wanted the ones from Tea Masters for a while, but these were much cheaper. 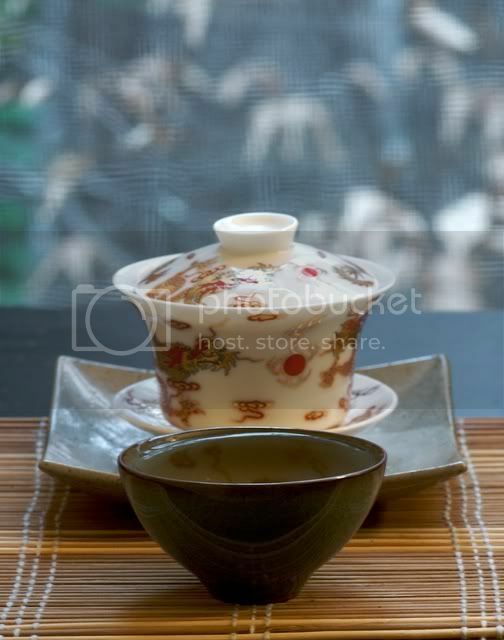 I think I remember hearing that DTH's Da Hong Pao is quite good, but I've never tried it myself. 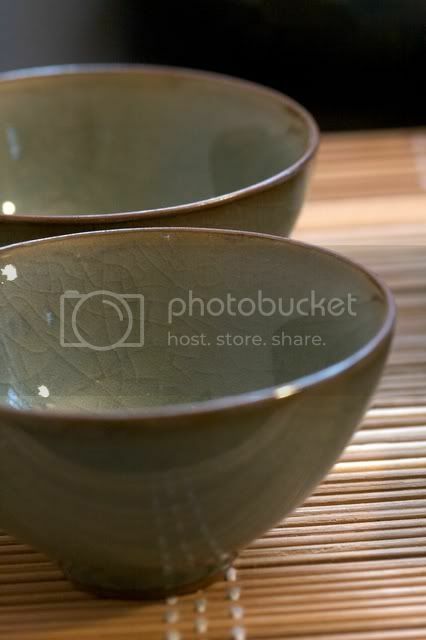 Loved the review, and the photos:) I've never tried Dancong, but it sounds interesting. Has to be one of the few times that sourness is not a bad thing in a tea! We just came across your blog and your Flickr page, (I think we're already contacts on there) and were wondering whether you would like to sample some of our teas? If you email me at david@jingtea.com I can arrange for some to be sent out to you. 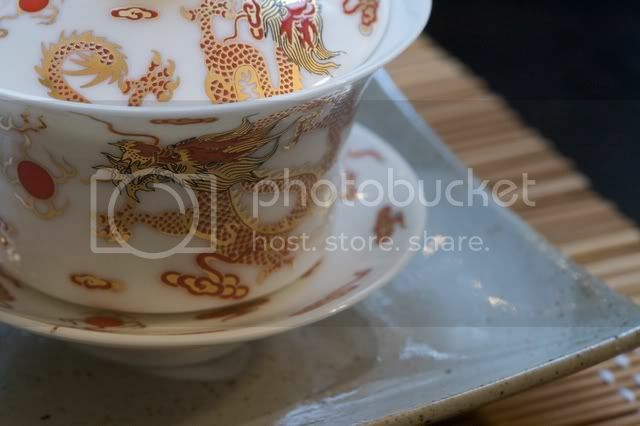 that golden dragon gaiwan is gorgeous. where can i find it?